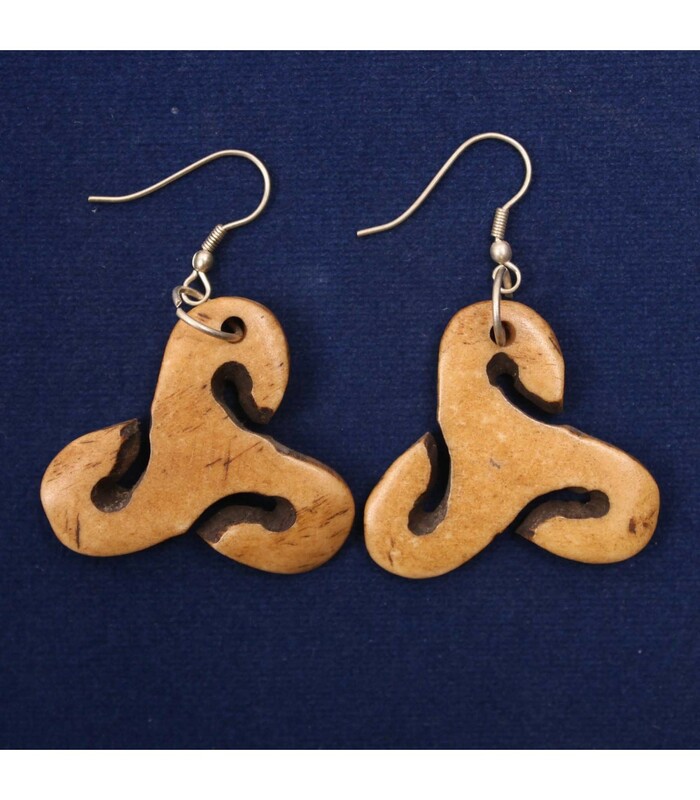 The earring is made from buffalo bone. It imitates the silhouette of Triskele and wood material. The pair weighs approx 8 grams.